Let's see em. I'm about to 3/30 mine and would like to see his stats. I've been sitting on him for a while because my 4* isn't max Forged yet but the time has arrived. 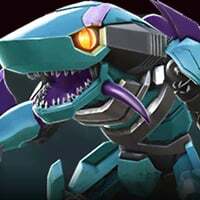 I was on the fence but realized the situations where I use him no other bot will do, such as Primal and the other heavily armored big boys. Encountered someone (name's Lockon Prime IIRC) with R5 UM and R5 Arcee in the Arena. I am going to take him to r4 since I got his signature up to 20 so he's going to be a beast I am not a big fan of him though since I have much better tactical bots like starscream and dinobot but he is the only r3 I have and he saved me in rok while fighting grindor I can rank the rest later.